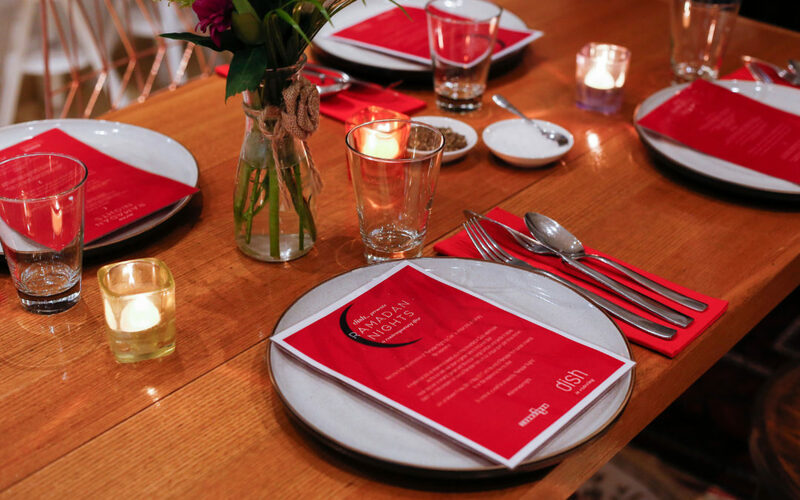 Dish Catering offers quite an exceptional pop-up culinary Iftar experience and we got to taste what will be on the menu for Ramadan. And I must say that we all were mighty pleased and came away quite satiated. 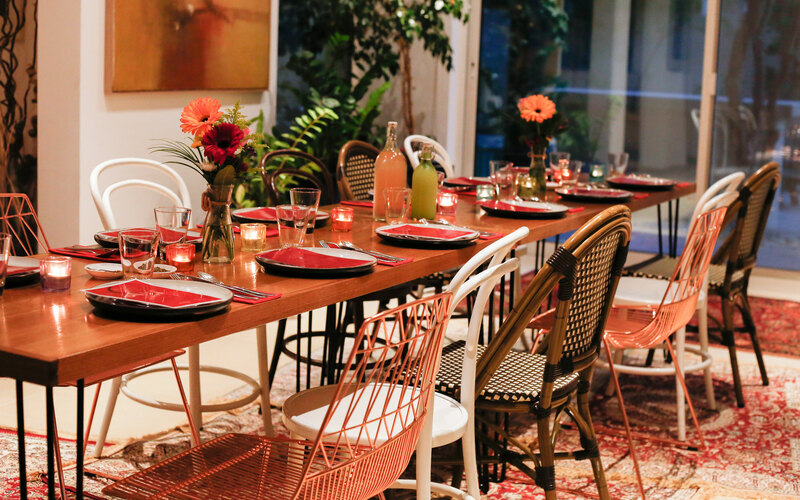 Everything from the food to the décor echoed the tones of the Middle East in beautiful way. 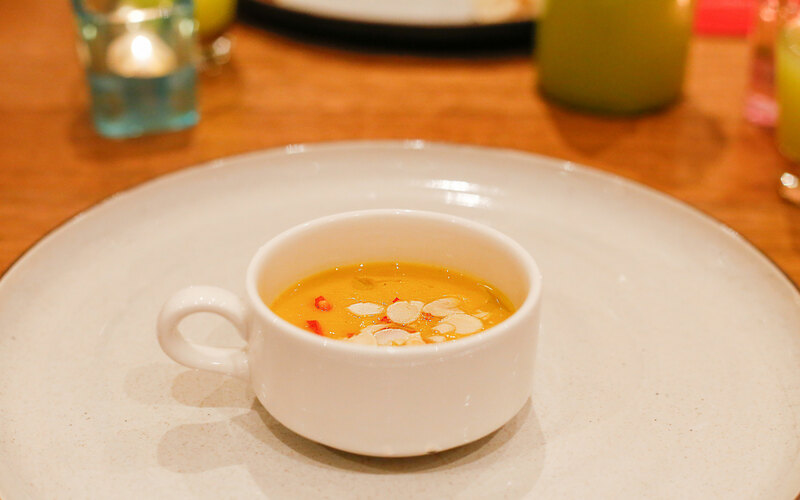 We began with a roasted butternut squash and red lentil soup with toasted almonds, chilli and Argen oil. 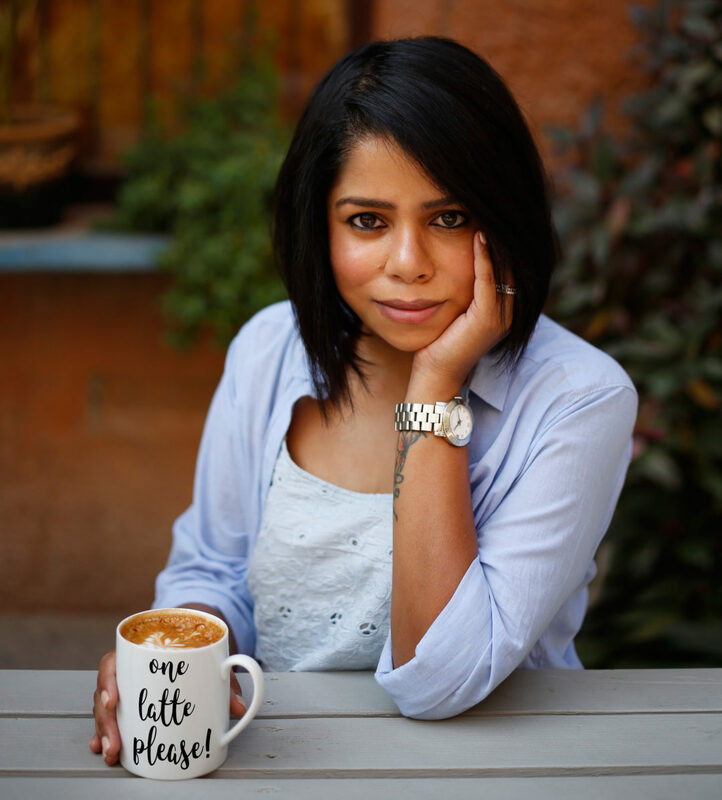 It is indulgent without being too heavy on the stomach. A great way to start your meal after you have broken your fast. 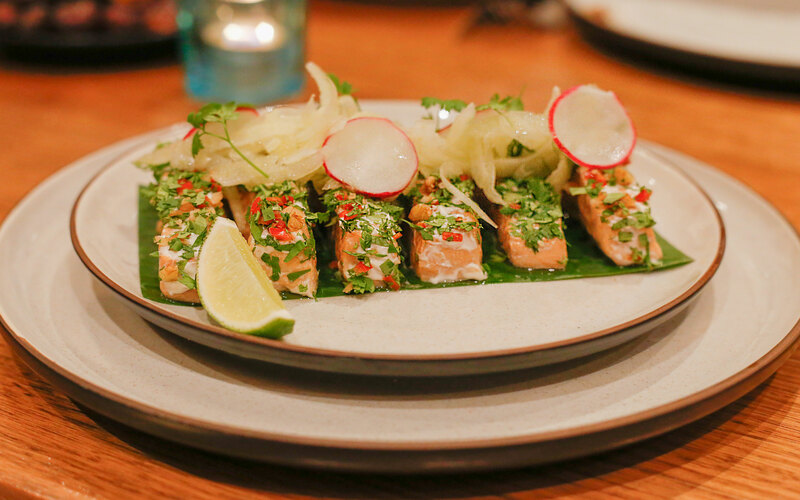 Tarator style salmon with coriander, fennel, walnut and radish. I haven’t had salmon cooked this way. Ever! 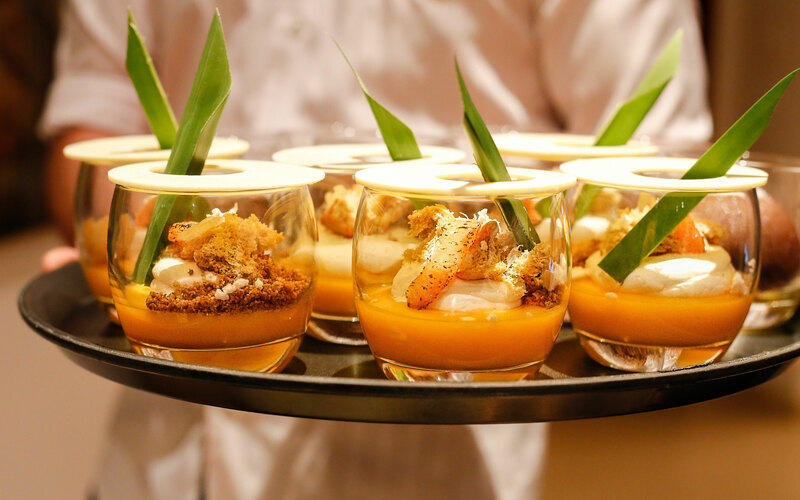 Perfectly balanced flavors with the fish still being the hero of the dish. 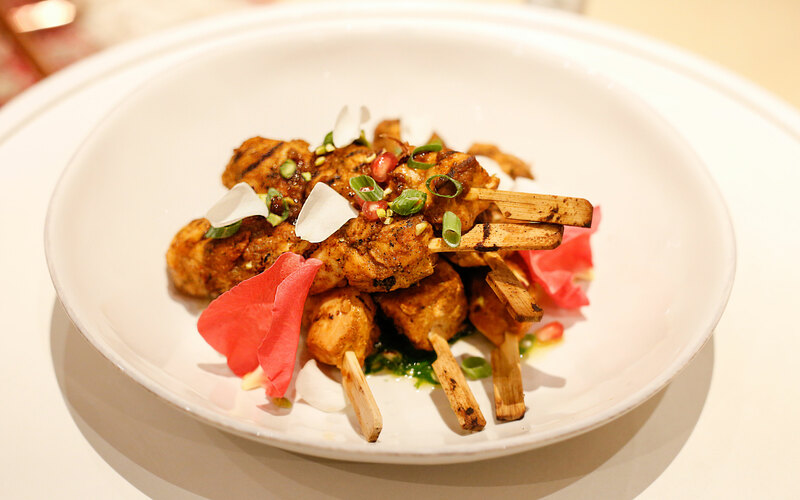 Charcoal chicken marinated in rose and pomegranate with a parsley and almond salsa. Now who would have thought rose and chicken would pair so well together?! These two ingredients complemented each other so well. We couldn’t get enough of it. If you are vegetarian they have some real fun fare. 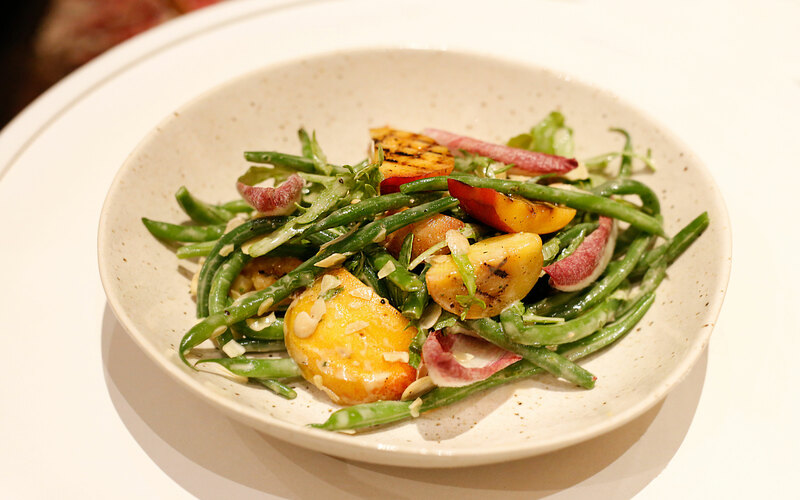 . . For instance, the grilled peach and green bean salad with rocket and an orange blossom dressing. Simple ingredients, great flavors. 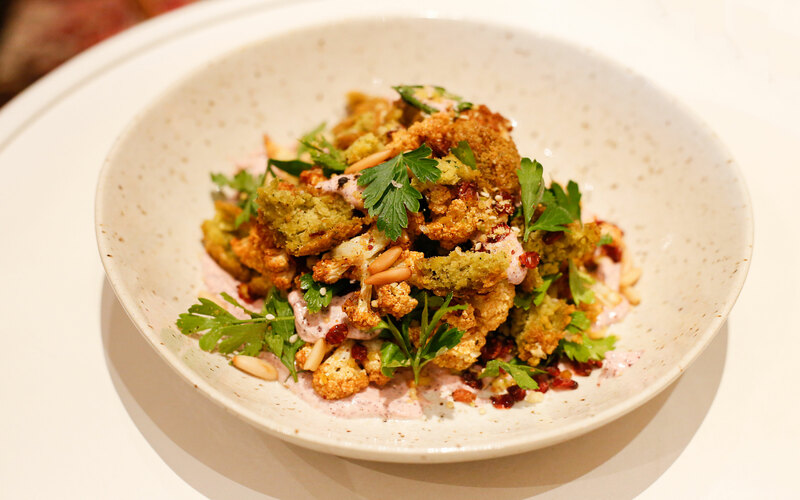 Torn falafel, fried cauliflower, pine nuts and sumac in a tahini dressing – this was my favorite salad. 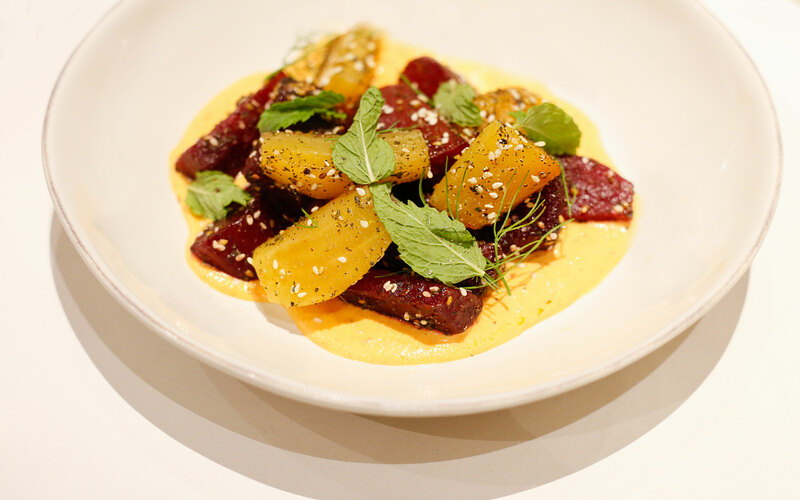 Salt-baked beetroot with zataar, seasame, mint and harissa labneh. Interesting, eh? Hands down, this was the showstopper for the evening. 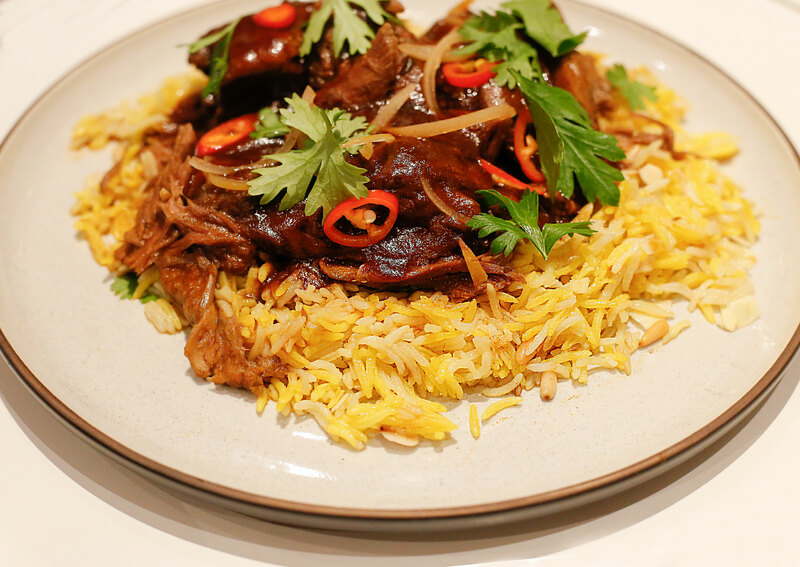 Slow braised shoulder of lamb in Middle Eastern spices, scented rice pilaf, preserved lemon, confit garlic and honey yogurt. Every morsel was an explosion of flavors in the mouth. Cooked to precision, this is one dish that will stay with me for a while to come. No meal is complete without something sweet and we had not one, but two delicious bowls of goodness. First up was the citrus mousse with a pink grapefruit curd centre, caramelized pink grapefruit, pomelo and a citrus meringue. 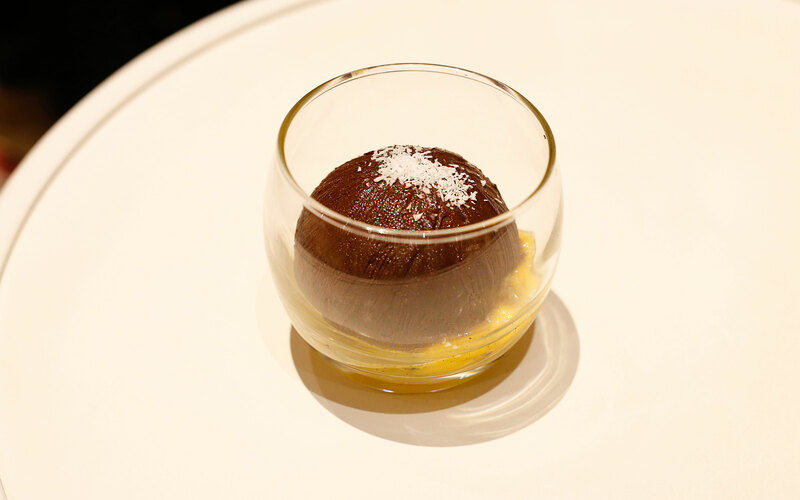 And the other equally delectable dessert was the milk chocolate and coconut cremeux, coconut chips, chocolate soil and a passion fruit and vanilla compote. I liked this wonderfully crafted dish a tad bit more than the other. I highly recommend a visit to their pop up. An Al Quoz warehouse will be transformed into a romantic garden with Moroccan lounge furniture and candlelit tables. They will be open from Friday, 26th May 2017 until the end of Ramadan from sunset onwards.